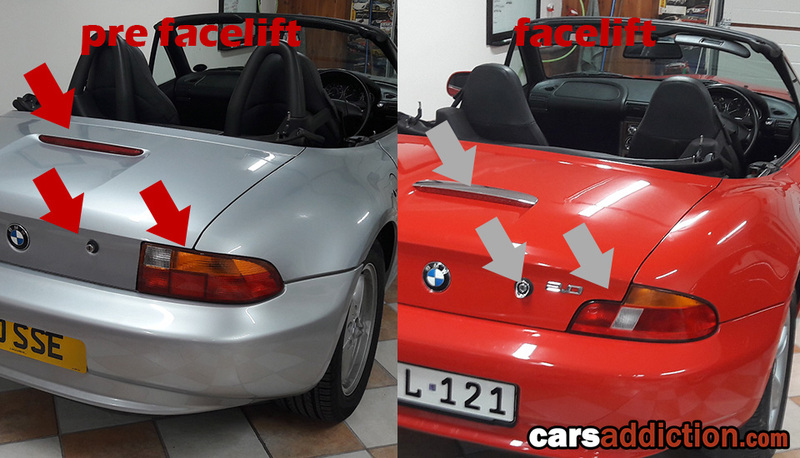 What is different between a prefacelift and facelift BMW Z3? 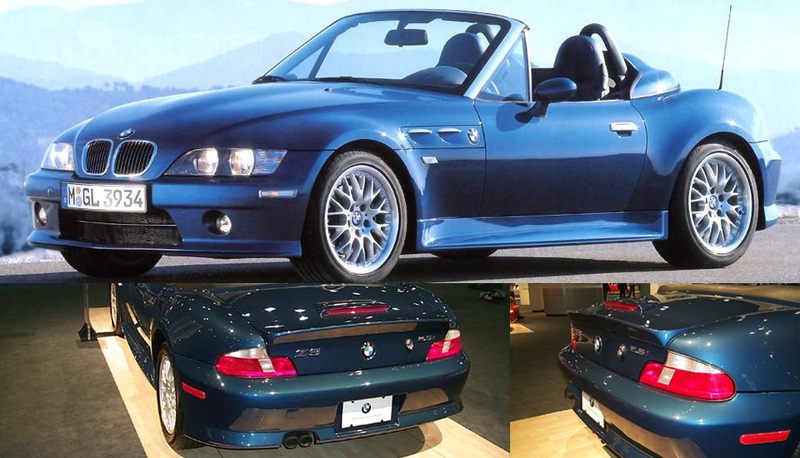 If you are in the market for the BMW Z3 I highly suggest you read this guide so that you are familiar about the different trims, and how you can recognize in certain cases they might have been swapped, tampered with or upgraded to some rare desired options. Reasons they have been swapped generally is to improve aesthetics, but in other cases the car in questions might have been in an accident and the wrong parts have been installed. 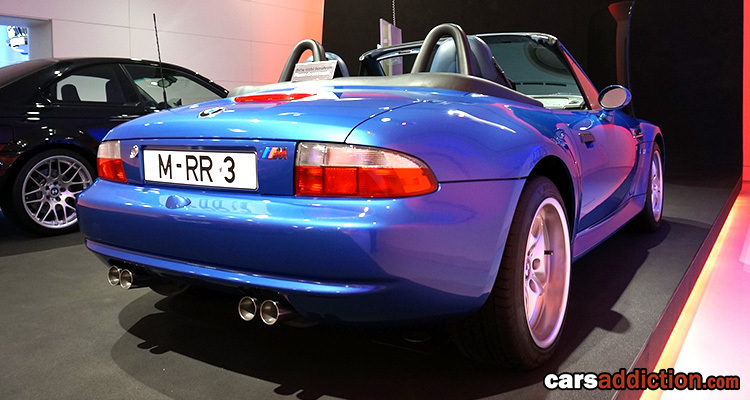 The production of the BMW Z3 started in 1995 and lasted to 2002. During the years BMW had various trims and engines, but the major change was in 1999 when BMW introduced a facelift to the BMW Z3. The details we mention below would be for the roadster variant, this is because the coupe never had a major facelift. 1998-2000 models use the drivetrain of the E36 M3. Therefore, the European-spec model is fitted with the 317 hp S50 engine and the North American-spec model uses the 240 hp S52 engine. 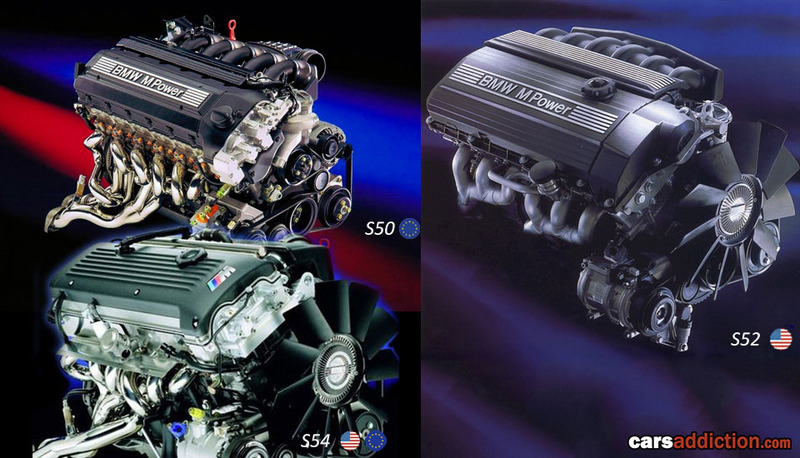 In 2001-2002 the engine from the E46 M3 was used therefore both European and North American models use the S54 engine. One way to determine differences in the engines outfitted in each years production is to refer to the VIN. Because the US S52, European S50 and S54 engines have distinct visual differences, it is also easy to determine the specific engine by looking at it. 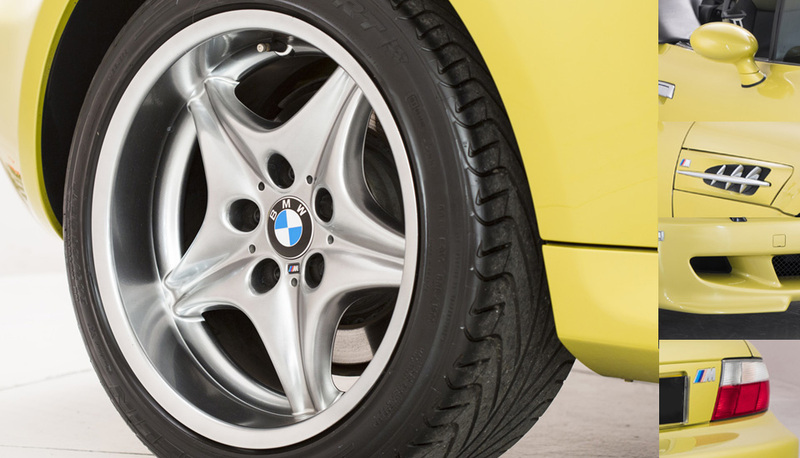 Wheels - The BMW Z3M only ever came out with one style of wheels - the staggered 17" BMW Style 40 wheels, the rear wheels do not fit any other Z3 because of their specific offset. Also note that later Z3M equipped with the S54 engine got the darker shadow chrome finish. For only the Z3M you can notice the additional three 52mm gauges in the centre console and the control switches are reallocated downwards to the gear shift panel. Depending on the market, engine and year of the Z3M the additional gauges give out the below readings. I'm also including the part numbers in case anyone reading this would like a shopping list to convert their centre console to the more desired Z3M centre console. Luckily BMW used universal 52mm gauges made by VDO, so if the OEM option is expensive or not available you can click here to view options from VDO to fit in the given slot. Comment below if you need any clarification, links are preset to what is available on the day on eBay. 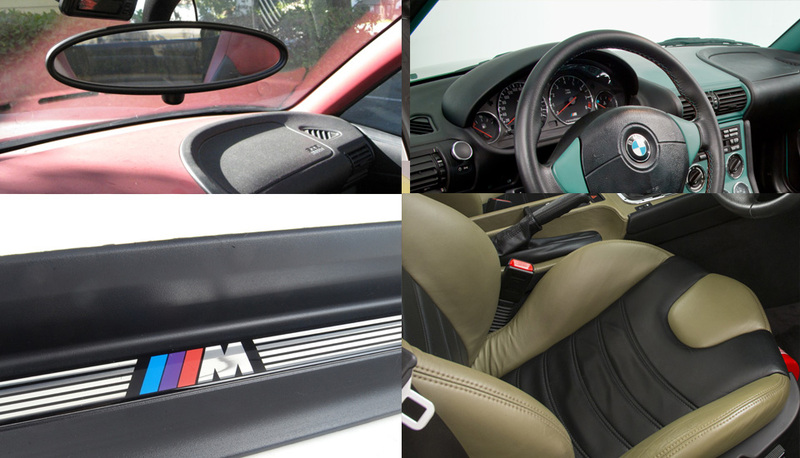 Other unique features to the Z3M are the M branded door sills and cluster, oval rear view mirror, red/blue stitching on steering wheel and the sport seats with horizontal detail. 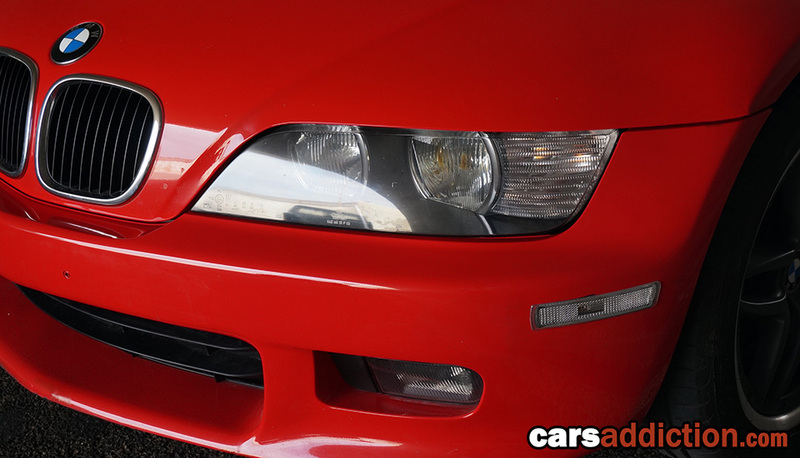 The BMW Z3 front bumper is the same for non facelift and facelift models, the only difference would be to the front headlights, BMW started providing units with a clear lens instead of the amber corners. Please note that although the facelift models started in 1999, the BMW Z3 started to be equipped with the clear headlights in 2000. So it is possible to have a facelift with front corner amber lights. Tip: The BMW Z3 headlights have a common problem and that is the yellowish burn in the lens you see in the photo above. Tip: Technically its possible to convert a narrow body BMW Z3 with widebody panels, but the parts necessary don't make it feasible and at the end you are better off buying a genuine BMW Z3 widebody. Parts needed: rear quarter panels, Wide body sills, Rear bumper and rear axles. Tip: Single tailpipe shows that the car is equipped with a 4 cylinder engine, whilst dual tailpipes mean the car is equipped with one of the 6 cylinder engines. Also note that the American market Z3s have an additional license plate holder embedded into the bumper (Part #51128398770). 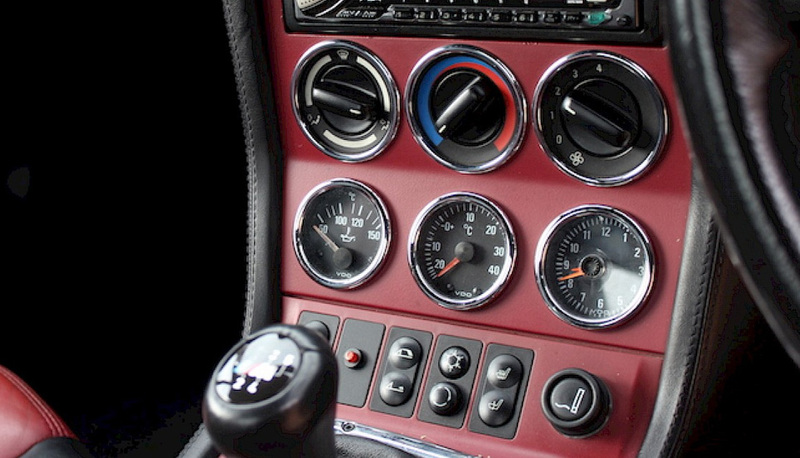 The major change to the interior can be found in the centre console. 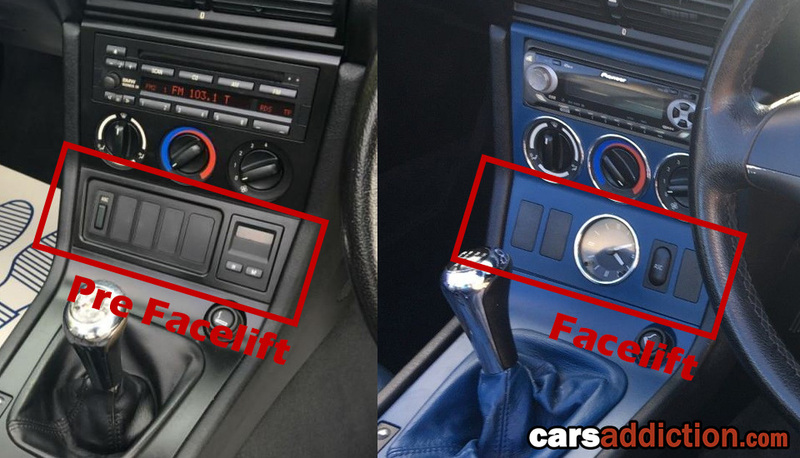 Prefacelift cars have a square digital clock offset to one side of the console, whilst the facelift BMW Z3 had a circular centralized clock in either digital or analog format. Also note the switches beside the clock on facelift models are rounded as opposed to the rectangular shape ones on the prefacelift models. Tip: All Z3 had traction control systems, the common ASC versions are either on or off, whilst in 2001/2002 models this was replaced with a more advanced DSC version. Hint to completely turn off the traction control on DSC, hold the button for 3 seconds. 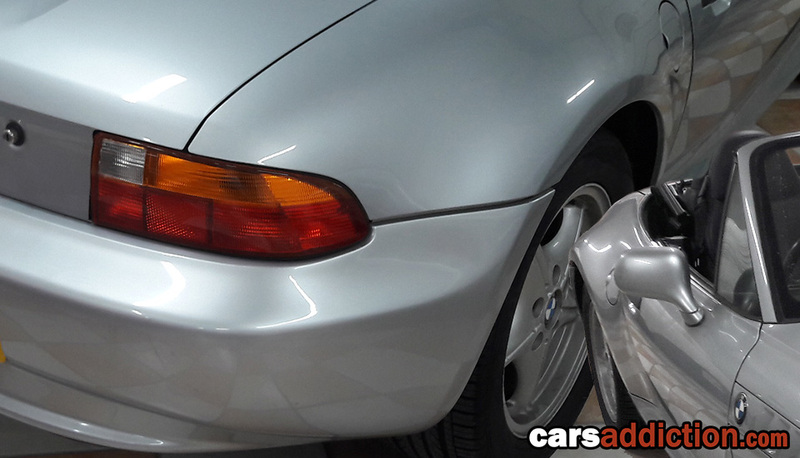 Aero Kit - the only optional bodywork available by BMW to the Z3. The Z3M never had a facelift, and has a completely different front bumper, rear bumper, centre console, side skirts and tailgate to the rest of the Z3 line. In addition has the quad tailpipes, so really easy to spot the difference between the Z3 and Z3M in a parking lot. The year 1999 is the transition year, where most 1999 BMW Z3 had all facelift parts but the headlights and rear lights still have the amber in them. The chrome rings in the headlights or A-Pillars have nothing to do with facelift models, this is just an optional trim. Side gills are the same for all BMW Z3s, they only differ for the Z3M. 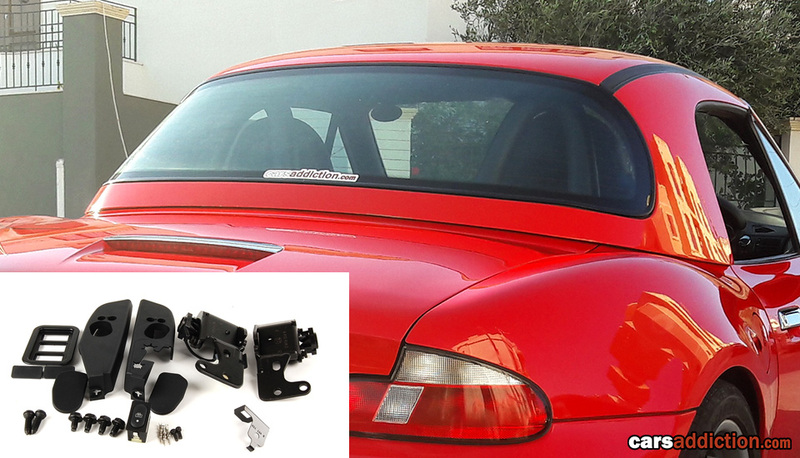 OEM Rollbars were available through the whole production period and always came in black. Extended leather option extends to the dashboard, upper door card and the sides of the centre console. The roof canvas on Facelift models have an extra layer for durability. Side Skirts - seem to look taller and boxier look. Early prefacelift models where only available with the inline 4 cylinder 1.8, 1.9 engine, or the 6 cylinder 2.8 engine. In addition, facelifts could also be had with the following 6 cylinder engines: 2.0, 2.2, 2.3, 2.5 and 3.0 litre engines - noticeable from outside by the twin tailpipes opposed to the single tailpipes from the 4 cylinder models. Note the 3.2 litre engines where only for the Z3M which never had a facelift and can be distinguished from the outside by the quad exhaust pipes. There are no bad or good engines with these cars. My preference is the 6 cylinder engines because they sound great. However you might be limited by your insurance or road tax in your country, and the smaller 4 cylinder engines might be tempting. The most interchangeable part of the car, so I would not really put so much emphasize one this. 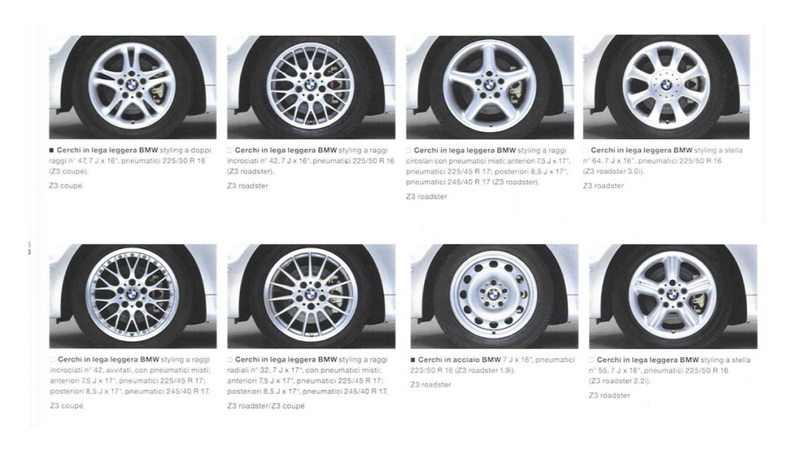 The most common factory alloy wheels for the prefacelift models where the BMW Style 18 and 36, whereas the facelift can commonly be found with the BMW Style 42 and 55 wheels. However the pcd pattern for the BMW Z3 is 5x120 like every other BMW at the time and present so the OEM wheel possibilities could be endless. There is nothing specific to prefacelift vs facelift, or engine size, it all depends how the car was equipped when ordered. 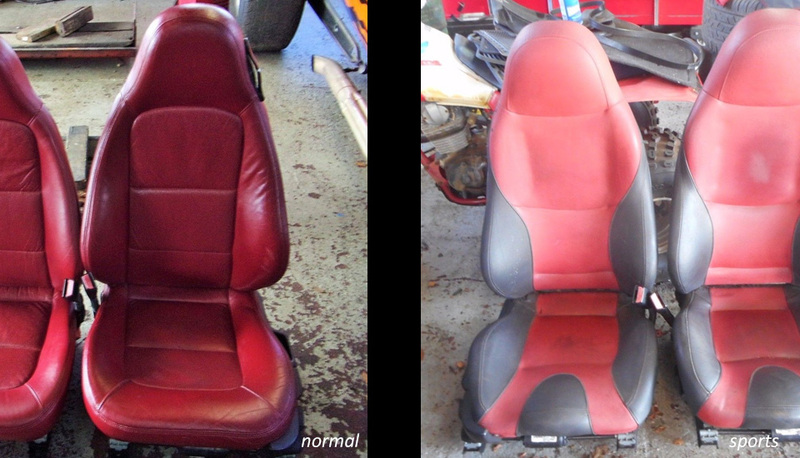 There are 2 styles of seats: Normal and Sports, both can be found in several colors and finishes. The easiest way to distinguish a sport seat is the buldge in the front centre of the seat. Tip: Aftermarket seats that fit into the Z3 are very limited (if any) and which is why used sports seats still demand a high premium. In my opinion the Sports seats is the seat to have, as the normal seats lack support. One of the most expensive things to buy if your BMW Z3 is not equipped with is the hard top. The hunt to find a hardtop in the right color and in your area is not an easy feat. Make sure you budget this if a hardtop is a must. Also make sure you have the required mounts and front screws available as these are not cheap. Tip: Black or Silver/Grey hard tops blend well with some colors. When dealing for a hardtop make sure you get both T40 front bolts, if not you would need to order them from BMW - Part #54218410534 and if not already in your toolset you would need a long T40 torx to secure the front part of your BMW Z3 hardtop. The only change to the standard coupe model (non M) throughout the years were the clear headlights instead of the orange indicators (the headlights are interchangeable with any roadster headlights), engine update from M52B28 (2.8l) to M54B30 (3.0l) and introduction to a huge rear chrome trunk lit handle. I wish I knew all the above information as it would have made it easier to choose between various Z3s I found on the market and point to the ones that have the sought after upgrades. Hope the above is useful, if there is anything I can help out with please comment below.